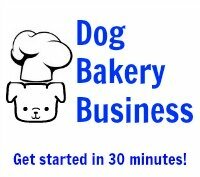 Easy dog homemade treat recipes! 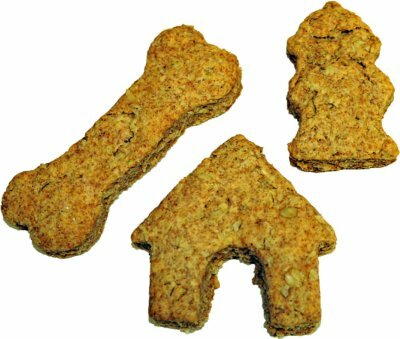 Easy dog homemade treat recipes everyone can follow! Create these shapes very easily using silicone baking pans! No more rolling, easy clean-up, make many treats at one time. 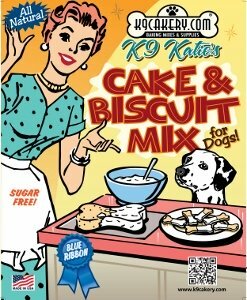 Visit K9Cakery.com to see a large selection of pans. In a mixing bowl, combine contents of the biscuit mix package with the water, oil, and baby food. The mix will be stiff and dry. If the mix is too dry and not holding together, add a very small amount of water. Roll out the dough and cut desired shapes with dog-themed cookie cutters. Place cut-outs on a pre-greased cookie sheet and bake for 18-22-minutes on the middle oven rack. When done, turn off oven heat and let the tray stay in the oven 60 minutes more. Remove treats and decorate with Magifrost dog treat icing for a shiny, glossy finish. Prepare a pre-greased cookie sheet and set to the side. Peel and dice a small sweet potato into ½ inch squares to fill ¾ cup. Place sweet potato cubes into a microwave safe dish and microwave on high until soft and easily mashed. Microwave times will vary based on the power of your oven. A few minutes should be all that is required. Once soft, mash potatoes well. Take 2 chicken livers and cut into 1 inch pieces. When pan is hot, add the chicken livers, a pinch of salt, a pinch of pepper and stir until done. Place the cooked chicken livers and the sweet potato into a mixing bowl and mix well. The final consistency should be like mashed potatoes. Prepare the dog treat base mix as instructed. Once the base mix is prepared, add the sweet potato, chicken liver mixture and mix well. Depending on the size treat you desire, drop bite sized drops of the mixture onto the pre-greased cookie sheet and place on the middle rack of the oven. Bake until treats are a golden brown and firm to the touch. Smaller treats will take less time than larger treats. When done, turn off oven and let treats remain inside for another 60 minutes to cool and harden.